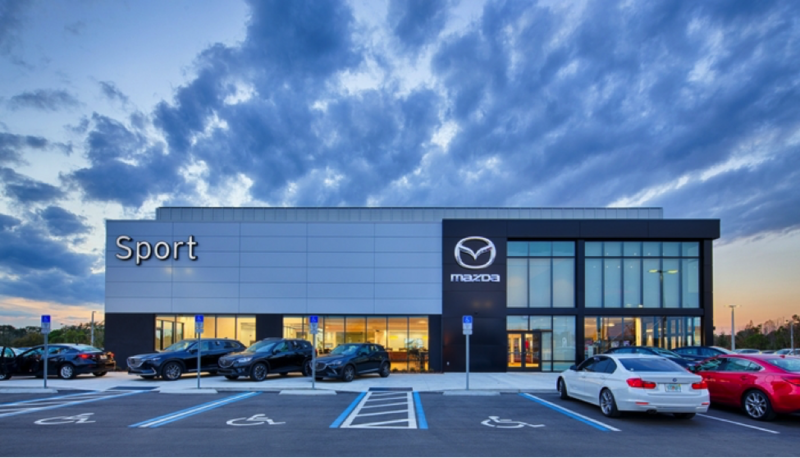 The all-new Sport Mazda is open for business! 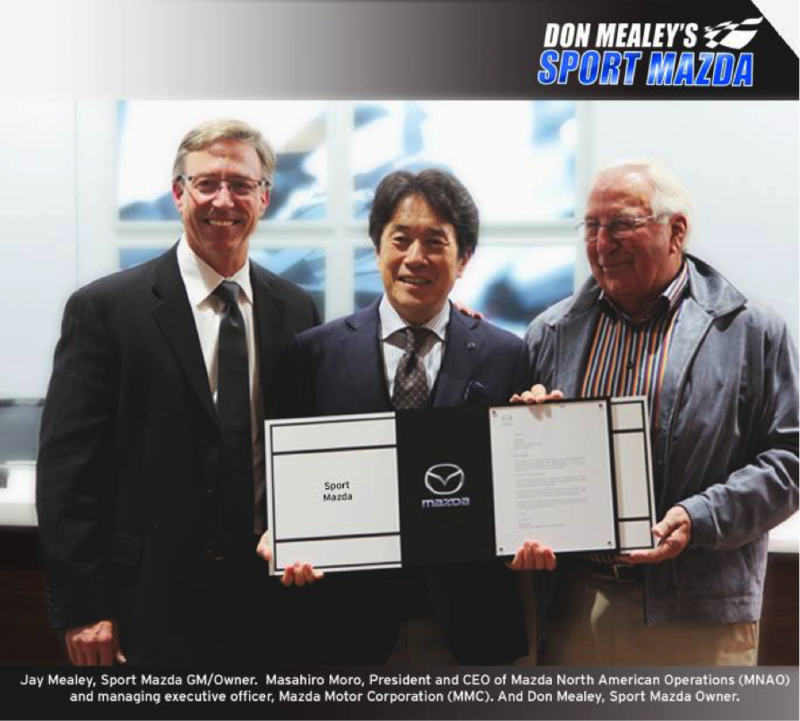 Last month, dealership owner Jay Mealey and Mazda North American Operations (MNAO) President and CEO, Masahiro Moro, celebrated with a grand opening event in South Orlando. Over the last 19 months, First Team Commercial has served as the project management firm responsible for coordination of all aspects of the project including design, permitting and construction. Acting as the owner’s representative, FTC managed each step of the project. 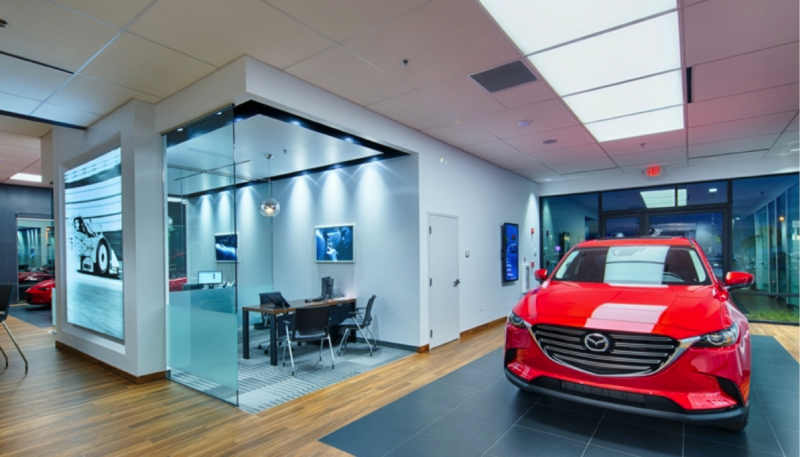 This 31,000 square foot facility is the newest and largest dealership of its kind in the state of Florida. Below are some photos and highlights of this extraordinary new facility. 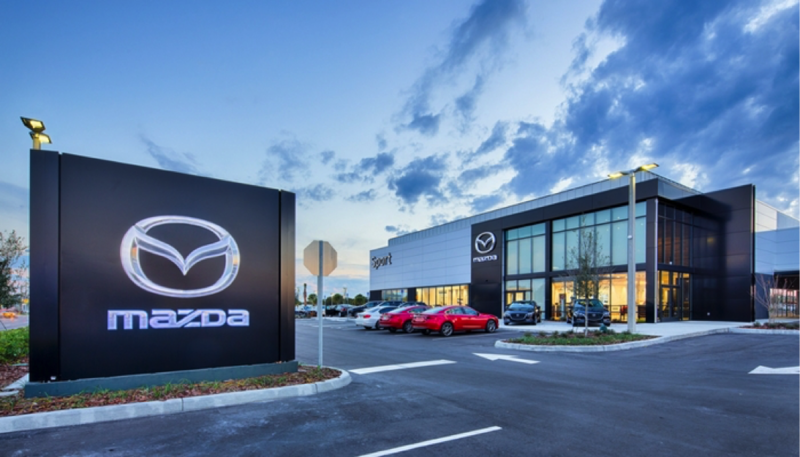 The new Sport Mazda is located at 9786 South Orange Blossom Trail in Orlando, FL, between Fields BMW and Tropical Ford. Across the road is the newly renovated Subaru South Orlando, which FTC completed earlier this year. 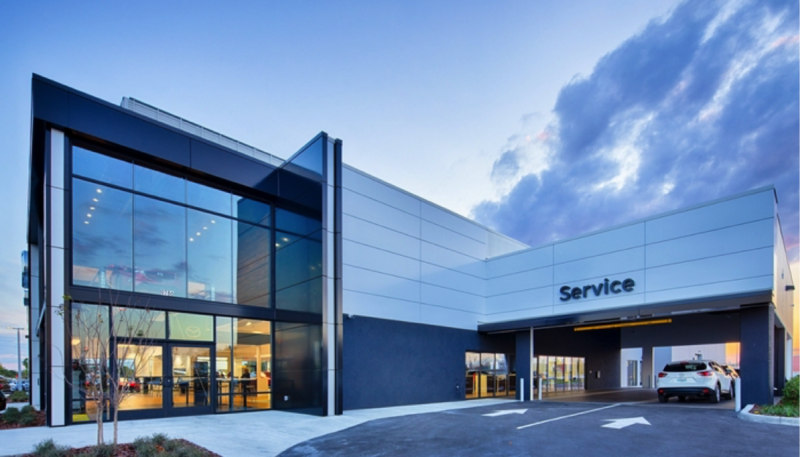 The building is a combination of structural steel and tilt up wall construction with 24 service bays in total, including 7 quick service bays and a car wash. The service center is completely air conditioned and modernized with state of the art service equipment. The eye-catching “jewel box” marks the entrance with a Mazda vehicle suspended 20 feet in the air, on display for all to see including traffic from South Orange Blossom Trail. 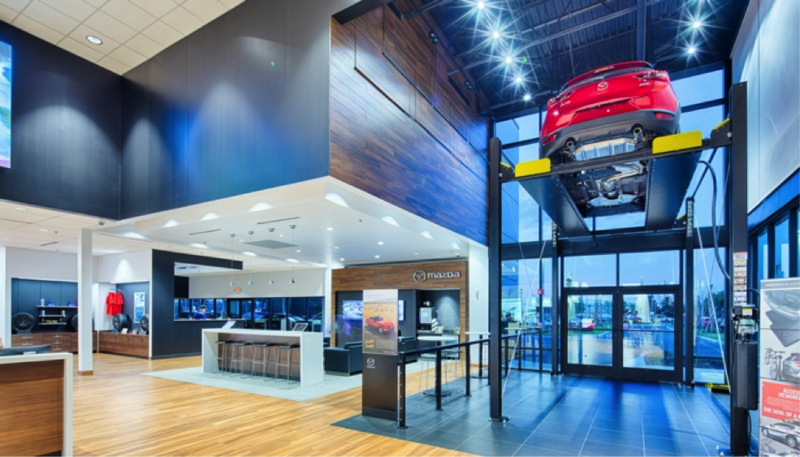 The mounted 9-screen HD monitor display serves as a digital centerpiece for the dealership interior, showing content related to everything Mazda including new makes and models. 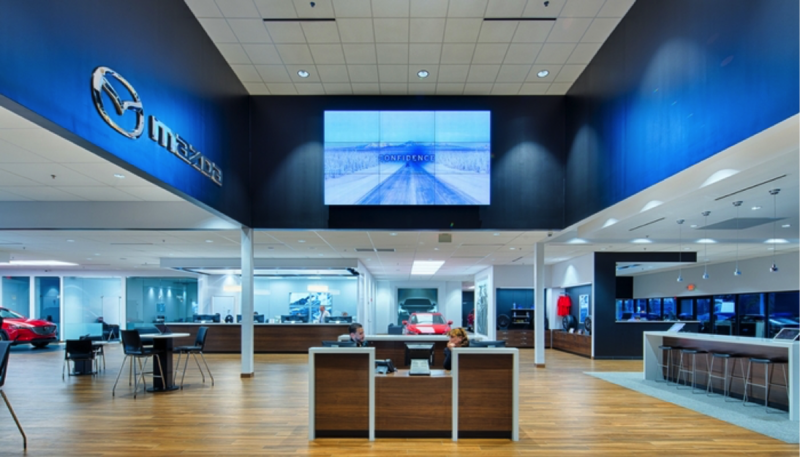 Themes of racing can be found throughout the dealership, as well as multiple vehicles on display. Well-lit, open office spaces line in the interior of the facility, furnished with modern desks and decorative artwork. 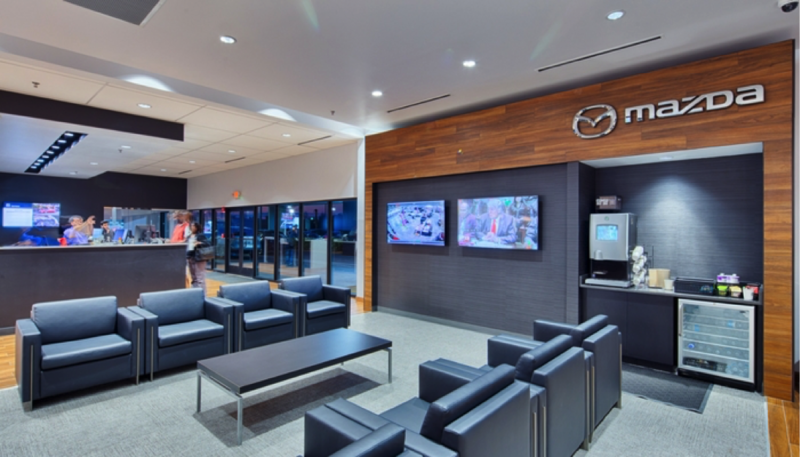 The Customer Lounge features multiple screens, one displaying entertainment and the other a live video feed of the service shop. Customers can enjoy comfortable lounge chairs, bottled water and freshly brewed Starbucks coffee. 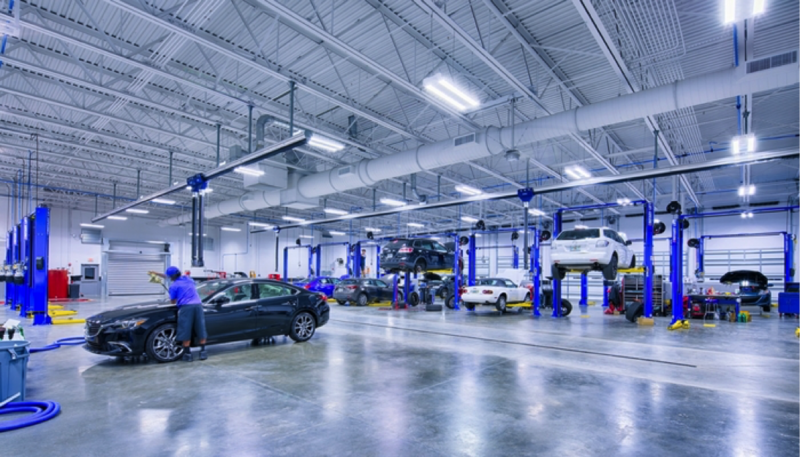 The service center features ultra-bright LED lighting, commercial-grade oversized fans and high-speed Rytec doors that fully open within a few seconds and then quickly close to maintain a comfortable environment for the shop technicians.